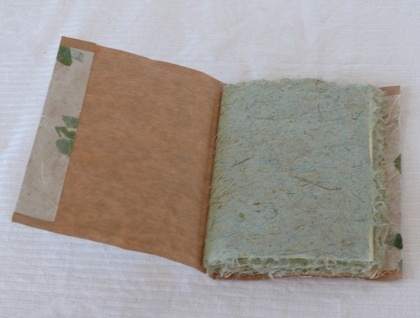 A small soft-covered notebook using textured brown paper with an overlay of leaf- and straw-embedded paper. 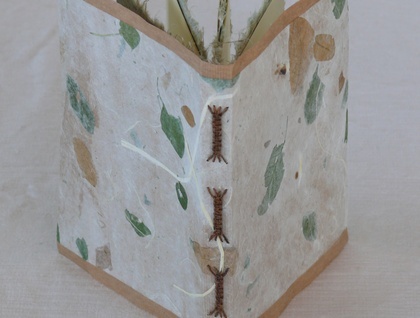 There are four sections of 8 creamy-yellow leaves (16 sides) each, and each section is enclosed in a sheet of green handmade paper. 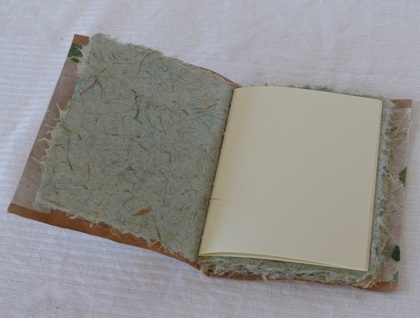 The book is bound using a knotted spine binding. 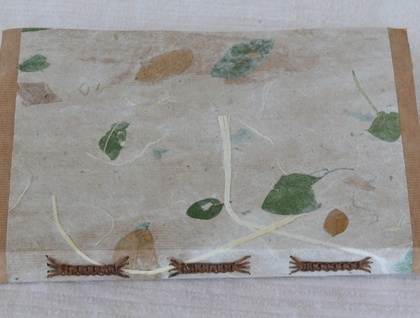 Contact secretwaters to enquire about payment or shipping options.